We always recommend people install a custom recovery for the sake of being able to backup easily if nothing else. The NANDroid backup option found from the main custom recovery menu can back up your files in an instant and is by far the best solution available to store data from any device running Android. As you probably know, a custom recovery is also incredibly useful for those wanting to customize a device also. Once you have flashed the custom recovery, you can install any custom ROM that is available for your device. Some custom ROMS require you to have rooted firmware, meaning you need to root the device before attempting to install the new ROM. You get all of that information and what’s required from the official download sources where you find the ROMs available, so there is no need to panic about learning what you need to have done. You need to have rooted the LG L3 with the model number E400  to complete this guide. You are going to install ClockworkMod recovery from the ROM Manager app. The ROM Manager app is an app that you just install and it will automatically install a custom recovery on your LG device. The only thing is that not all devices are supported, so it’s not always as easy as heading to the Play Store and downloading the app for every device out there. You have chosen to void the Lg warrant when you install a custom recovery. The custom recovery replaces your stock recovery on the E400 smartphone, and by doing that, you lose the warranty. The consolatory news is that you can always flash the stock recovery back over the custom version and get the warranty working again. You will only ever get to run one of them at a time. Download and install the ROM Manager  application directly on your LG G3 E400 smartphone from the Google Play Store link. Open your ROM Manager app from the app E400’s drawer. Tap the “Flash ClockworkMod recovery” button you can see within the app. The next screen will ask for you to choose your device. 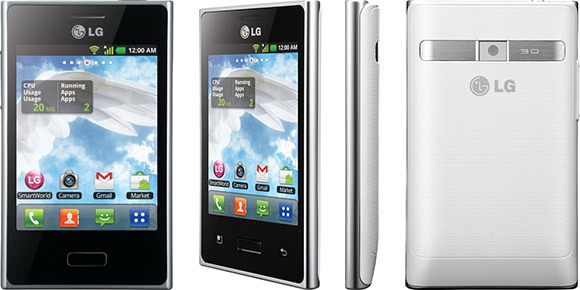 Make sure you select the LG Optimus L3 E400 from the list. The ROM manager app will now install the custom recovery on your E400 device. Do not touch any buttons until you see a message on the display, letting you know that the installation is complete. You may now exit the ROM Manager app and enjoy your new recovery. Since it was a requirement to have rooted the LG Optimus L3 before installing a custom recovery on the same, you can now open the Google Play Store and install the Quick Boot application. The Quick Boot app is a very handy app for rooted users that lets you boot your device into several modes, one of which is the recovery mode to get your custom recovery booted up and running.